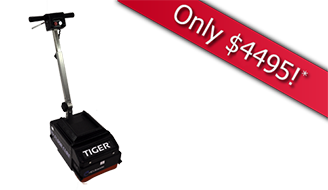 At just $4495, and packing a powerful 1700W, 12″ UV light, the Tiger changes the game for site-applied UV floor curing. The Tiger removes significant barriers to entry to the UV market, and opens a world of possibilities with minimal investment. HAMMERHEAD UV Floor Curing Equipment is a heavy duty line of floor curing machines used for industrial and commercial floor finishing. Designed primarily for use on concrete floors and with coatings that are 100% solids, these machines will outperform anything else available. Unique to HID Ultraviolet, instant start technology allows for the lamp to be turned on only when you need to cure. There is no need to wait for the lamp to warm up, or cool down before you can use the machine. This reduces the chance of unintended exposure to UV light, and eliminates the need for mechanical shutters. HID Ultraviolet is the leading manufacturer of UV floor curing machines, having been in the industry for over 30 years. 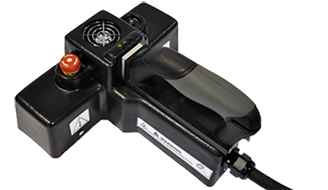 Currently, we offer both handheld and floor uv curing machines that range from 6″ to 34″ cure paths. HIDUV offers only the best equipment, built with decades of engineering and manufacturing experience in the USA. We offer a range of different UV floor curing machines for a range of applications from concrete, vinyl tile (VCT) flooring to hardwood flooring. 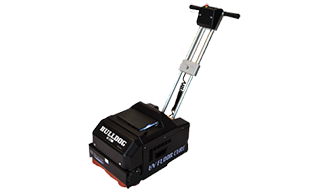 Our UV floor curing equipment lineup currently consists of four main product lines, the Mako handheld curing unit, the entry level Tiger floor curing machine, the mid-range Bulldog floor curing machine series, and the high power/large area Hammerhead. UV floor curing is ideal for commercial, industrial and residential customers. UV allows for instant curing, allowing instant return to service, bringing traffic back onto the floor immediately after cure. 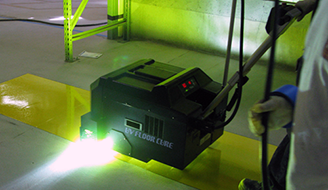 HID Ultraviolet floor curing machines feature patented shutterless instant start technology. This allows for minimally disruptive safety features that no other manufacturer can implement. All HID UV equipment is manufactured in the US at our Sparta, New Jersey facility. HID is a highly vertically integrated manufacturer, making everything from sheet metal parts to transformers, allowing for highly competitive pricing on all equipment. There has never been a floor curing machine like this. The Tiger-12 packs a powerful 1700W, 12″ lamp into a light-weight, extremely affordable package. Call today! Patented Instant Start/Hot Restrike technology along with proprietary irradiator, lamp, and reflector designs make the HAMMERHEAD Series the most powerul and efficient floor curing machines available. Designed primarily for use on concrete floors and with coatings that are 100% solids, these machines will outperform anything else available. Like the entire line of HIDUV equipment, the MAKO Handheld is made with the most advanced features and technology in order to offer safe and reliable performance that sets the standard for onsite UV curing. A spring loaded trigger requires operator input in order to run the lamp head.